The OnePlus 5 will have a dual camera system that will look and feel just like the one on the Apple iPhone 7 Plus: one regular rear camera and a secondary, telephoto shooter that will be capable of blurring the background and capturing portraits, according to a report by TheVerge a day before the official launch of the OnePlus 5. We also now have the official OnePlus 5 camera specs: the phone will have a 16-megapixel main Sony rear cam with an f/1.7 aperture lens, and a 20-megapixel secondary Sony sensor with an f/2.6 telephoto lens. OnePlus says that this is "the highest resolution dual-camera system on a smartphone today," but of course we've seen Sony's and others' 23-megapixel phones, so we are curious to test this in real life. The report does not reveal the full OnePlus 5 specs, but it does confirm that the OnePlus 5 will be the company's most expensive phone yet. With the eery similarity to the iPhone 7 Plus, it might be the most controversial one as well. 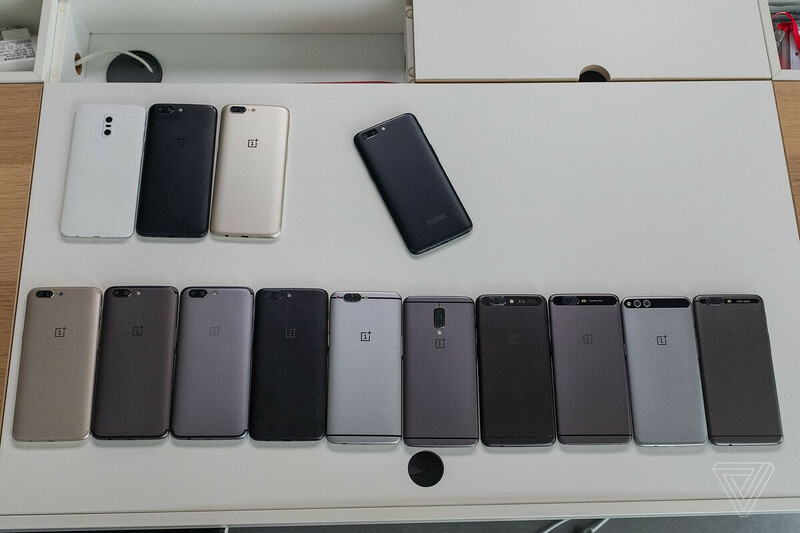 It also reveals a ton of interesting details about the OnePlus 5 camera, starting with an admission by OnePlus co-founder Carl Pei that the camera on the OnePlus 3 was good, but not 'great' as on Samsung and Apple phones, continuing with a promise for a great camera in the OnePlus 5 and ending with OnePlus thanking Apple for 'educating' people about the camera on the new phone. All of this is hugely controversial for one obvious reason: the OnePlus 5 looks a lot like the Apple iPhone 7 Plus, down to the camera position and the crescent antenna lines. And we doubt Apple will like this. For the full making of story around the OnePlus 5 camera, hit the source link right below. Apart from iphone and galaxy, what else is left to be liked? One regular rear camera and a secondary, telephoto shooter Fantastic news a good android zoom regular mobile, I was not looking forward to the rumored monochrome second camera.
' "the highest resolution dual-camera system on a smartphone today," but of course we've seen Sony's and others' 23-megapixel phones...' These guys can't just leave it there as it is...Cleary, they meant "highest resolution dual-camera system" and they compare it with Sony, which doesn't have any dual camera set up phone yet. Face-palm! I have defocus background on my Xperia. No need second cam. I haaafff defffookusss on my LamePsserriaaaa no neeedy seeeconnnd caaaam. Aaaaaamm aaaaam aaaaam. It is a sub app inside cam app. All Z phones have it. But is only 8MP. It was obvious and PA kept saying it would be a monochrome camera ! Even though they increase their price, it will not be as expensive as iphone and galaxy s series. So there is no need to worry much. Carl Pei - "See, we tried to copy every flagship & the best outcome is the iPhone 7 Plus"
You beat me to making that comment. They should of gone wth the first one in the top left corner, reminds me of the orginal OnePlus One. The HTC look-alike protoype is even cooler, I think. I was hoping to see the magic of monochrome. Maybe it's not so magical. Wow, basically the only other design they were considering was a Huawei P9 clone. Of all those prototypes they had to pick the one that looks exactly like iphone7 :( 6th from left to right was better. HTC EVO 3D didn't set the world on fire.